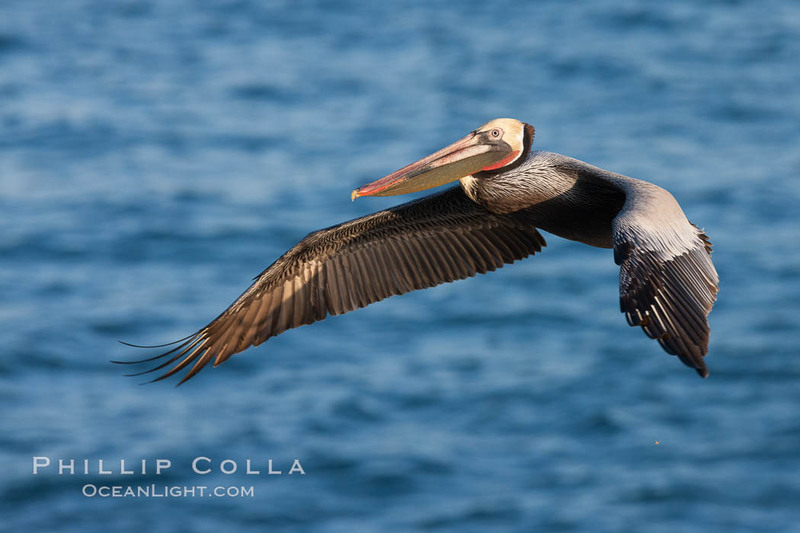 This morning I photographed brown pelicans (Pelecanus occidentalis californicus) in La Jolla. 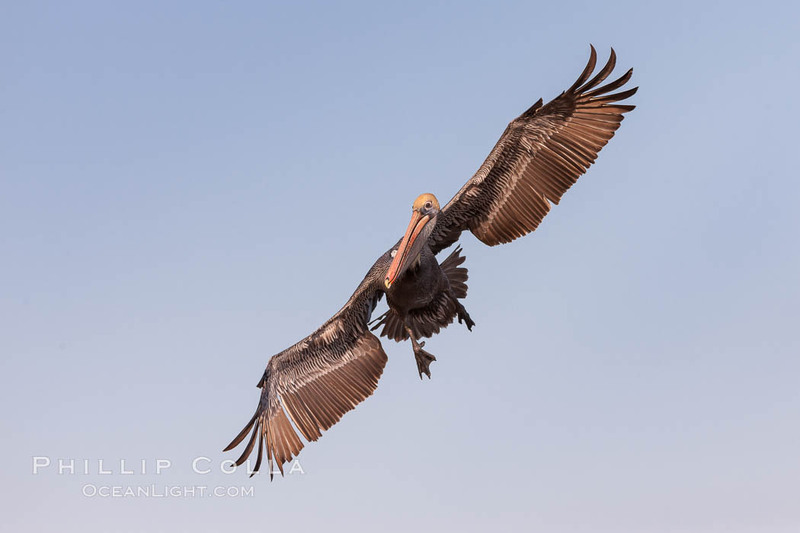 I really don’t need any more photos of pelicans but the setting is so beautiful that I keep returning. I’ve enjoyed these cliffs for 30 years. (We used to cliff dive off of them in college but now the lawyers and beaurocrats have made it illegal.) 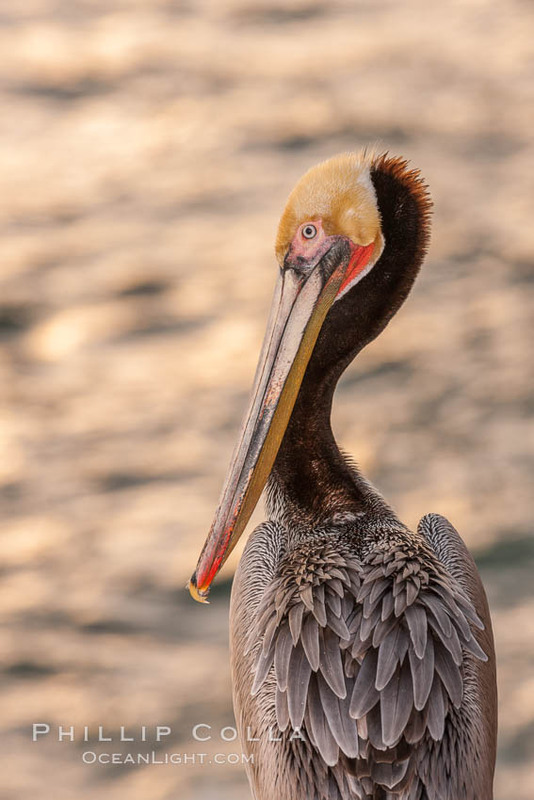 At this time of year the pelican’s winter plumage is in force, with deep red throat colors and dark brown hind neck on most of the adults. We moved in December, and I was gone most of the month of January, so this was my first trip down to La Jolla this winter even though it is just a few minutes down the coast. All of these were shot with Canon 1Ds Mark III, 300 f/2.8 lens, handheld or with a monopod, some with flash fill. 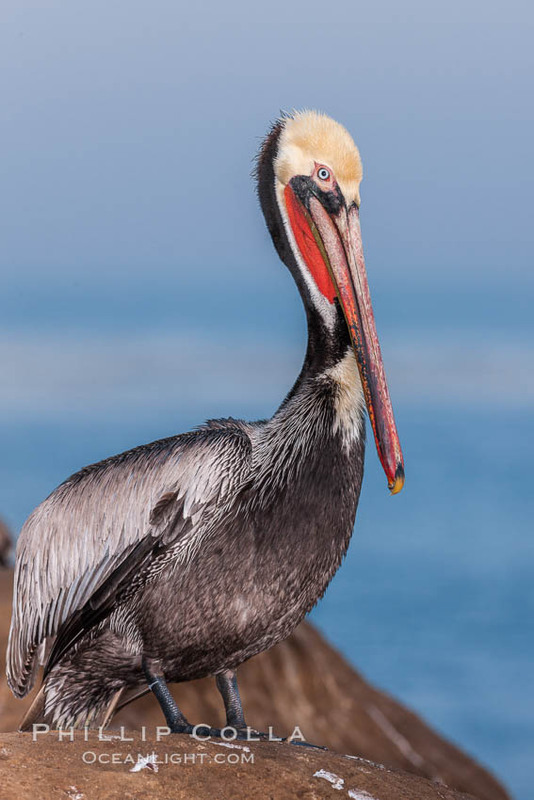 See more brown pelican photos as well as our Guide to Photographing Pelicans in La Jolla.